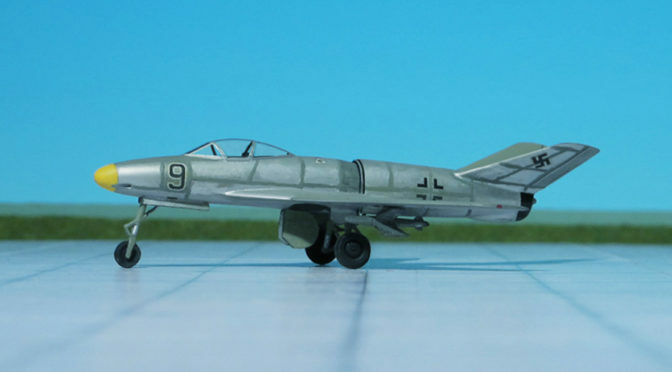 COMMENT: The designation Messerschmitt Me 209 was used for two separate projects during World War II. 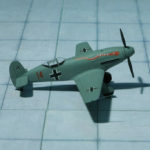 The first was a record-setting, single-engine race aircraft, for which little or no consideration was given to adaptation for combat (Messerschmitt Me 209 V1). 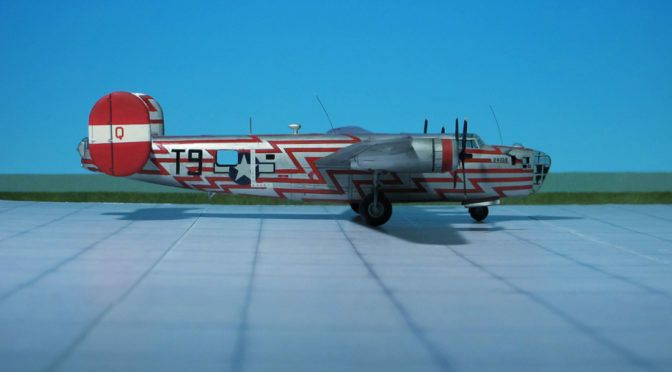 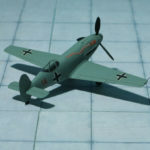 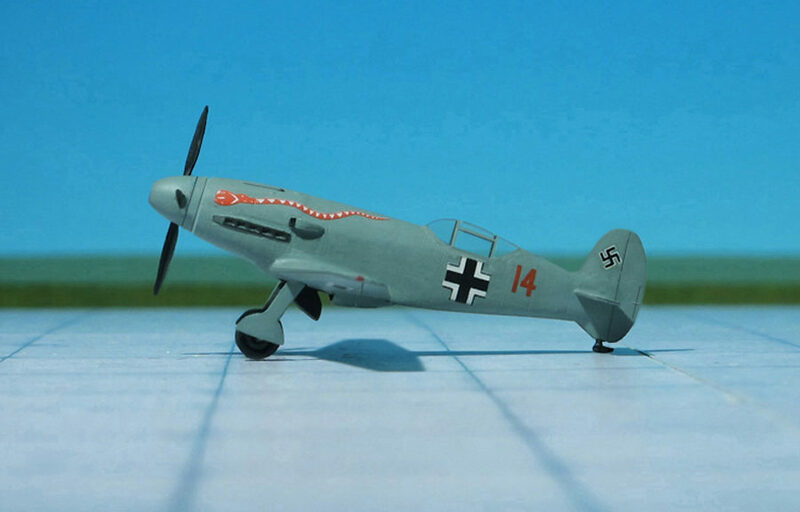 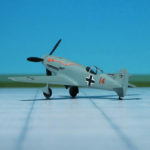 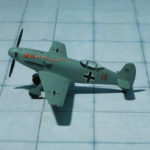 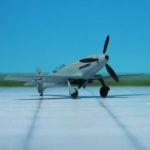 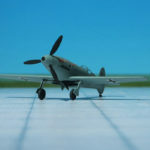 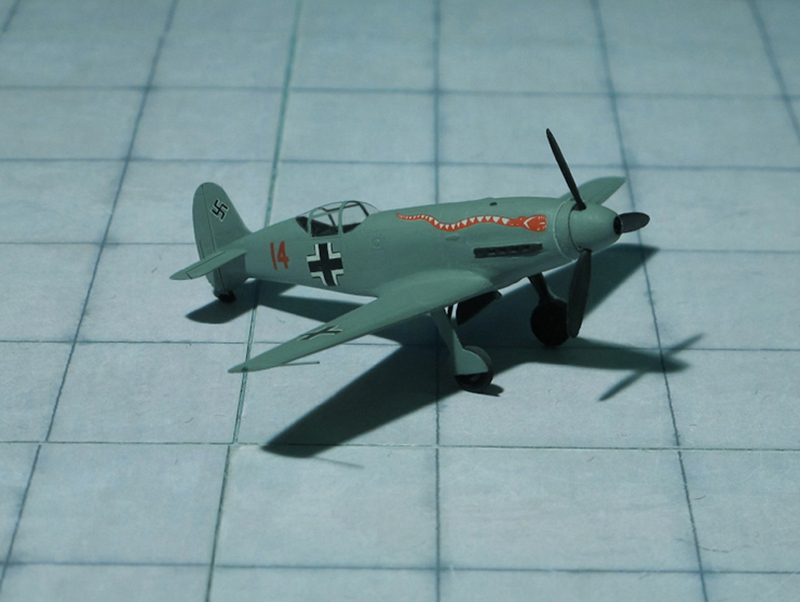 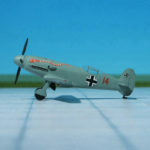 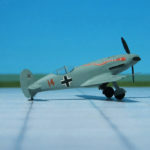 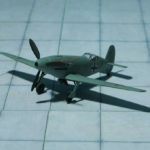 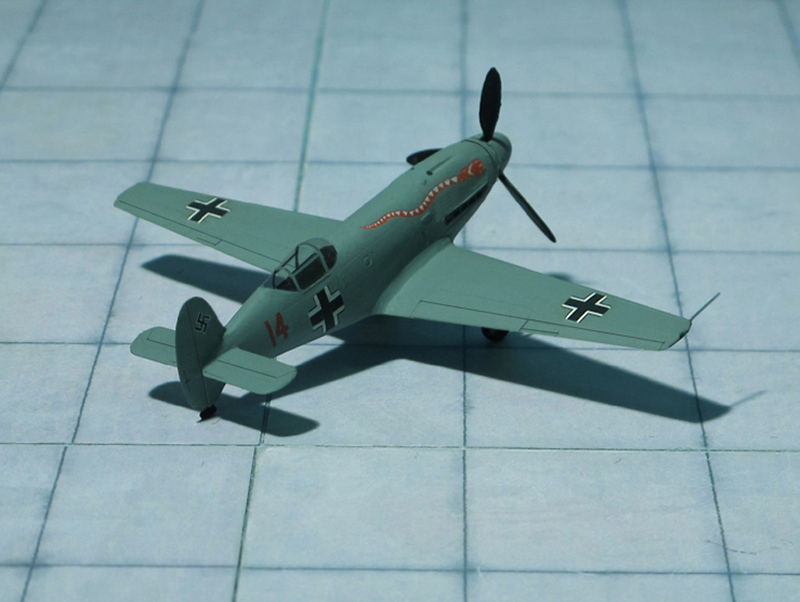 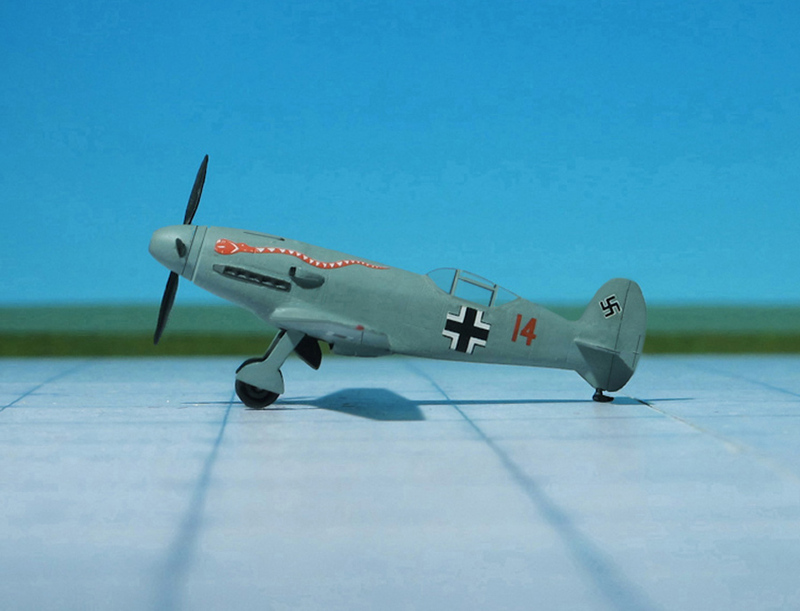 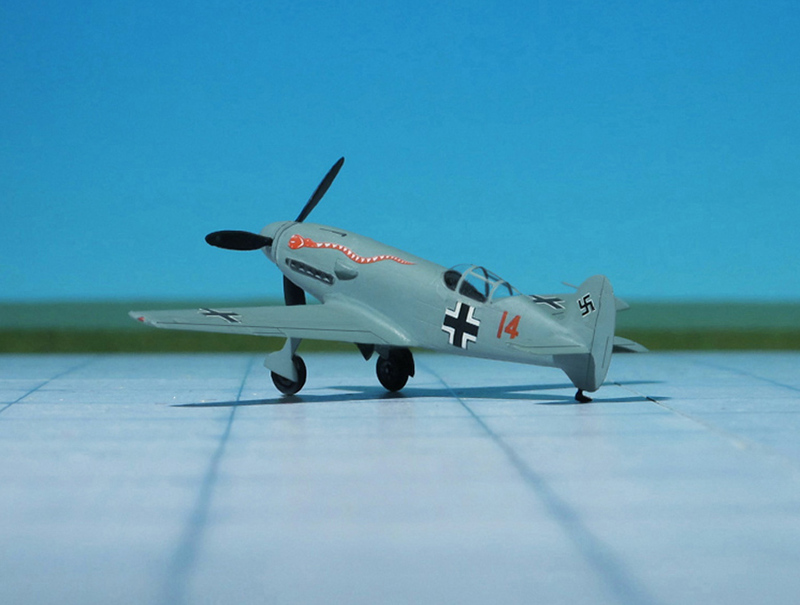 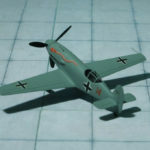 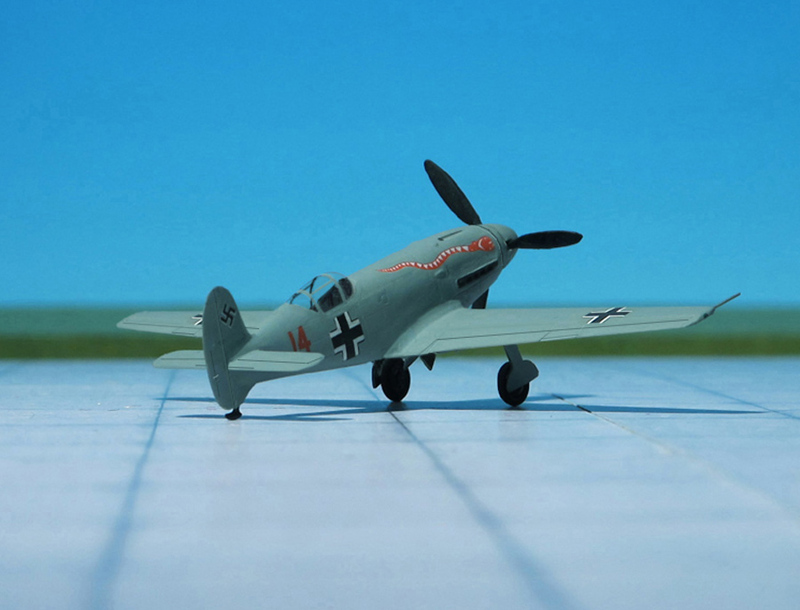 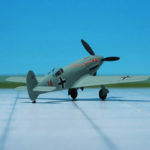 The second Me 209 was a proposal for a follow-up to the highly successful Messerschmitt Bf 109 which served as the Luftwaffe’s primary fighter throughout World War II. 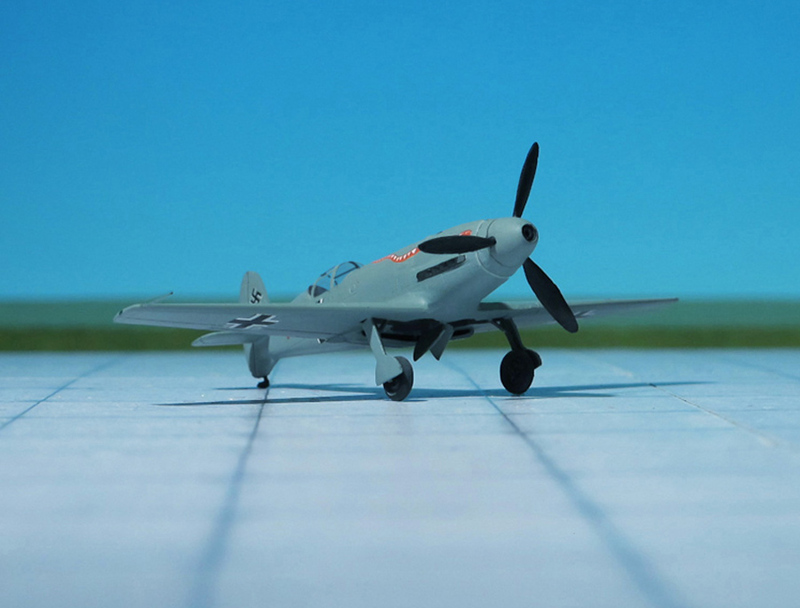 In late 1939, after three prototypes of the record-breaking aircraft were built the fourth prototype, the Messerschmitt Me 209 V4, was adapted to a fighter aircraft. 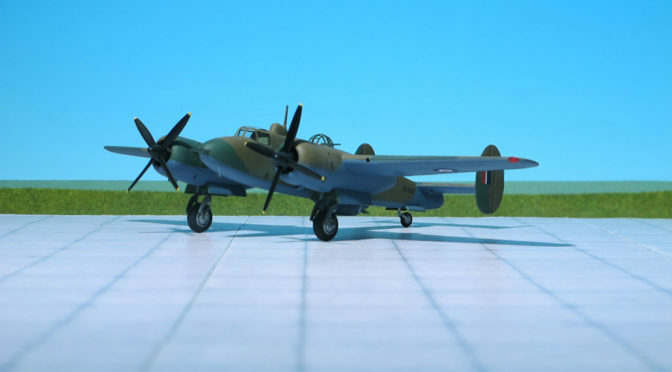 The fuselage was essentially similar to that of the record-speed aircraft but the vertical tail surfaces were substantially increased in area, the main undercarriage legs were shortened, an entirely new wing was fitted, and the maximum gross weight was reduced. 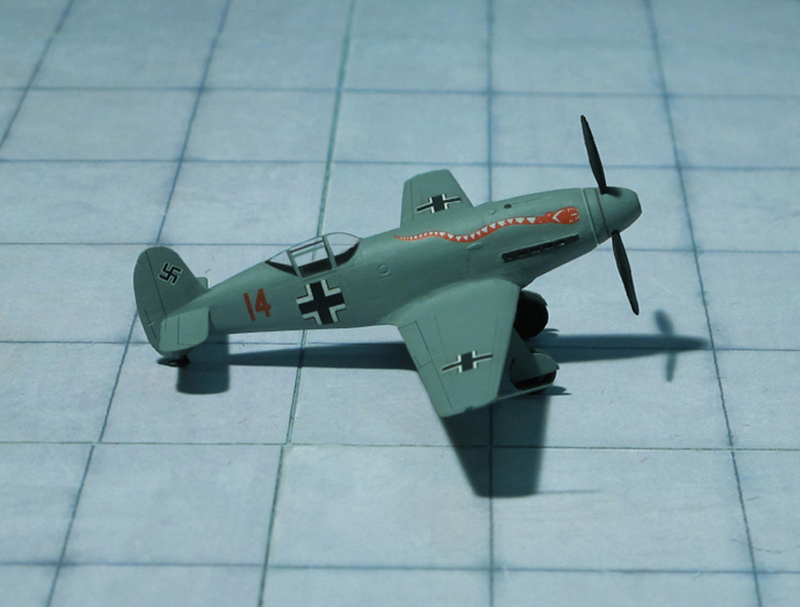 For initial flight trials, the Me 209 V4 was fitted with a standard Daimler-Benz DB 601A engine and retained the surface evaporation cooling system employed by its high-speed predecessors, but this system was far from perfection and continuously troublesome, and after the eighth test flight was removed and replaced by shallow, low drag radiators beneath the inboard wing panels. 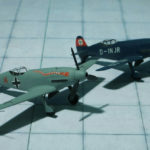 The resumption of flying trials immediately revealed inadequacy of the cooling provided by the underwing radiators, and the handling characteristics of both on the ground and in the air proved extremely poor. 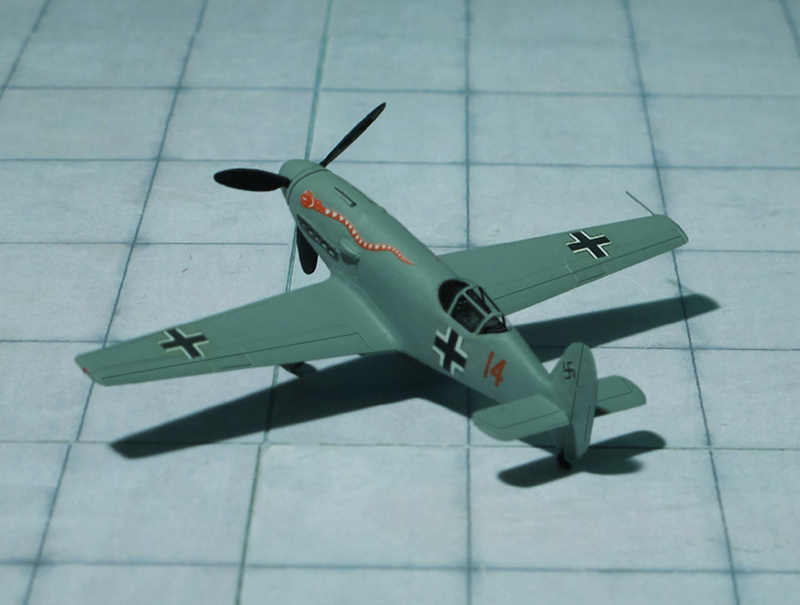 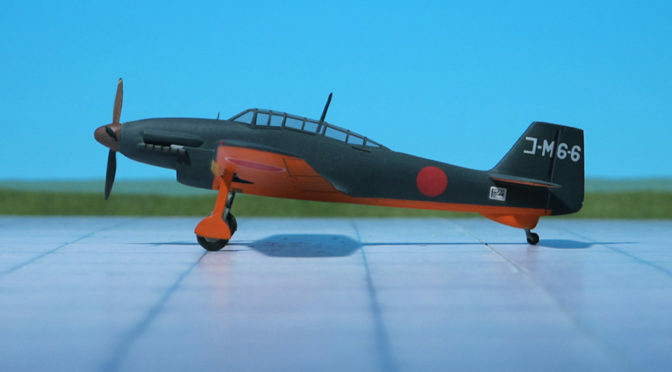 By 1940, the overall wing span had been increased and both horizontal and vertical tail surfaces had been enlarged, but trial revealed no major improvement of the characteristics of the fighter. 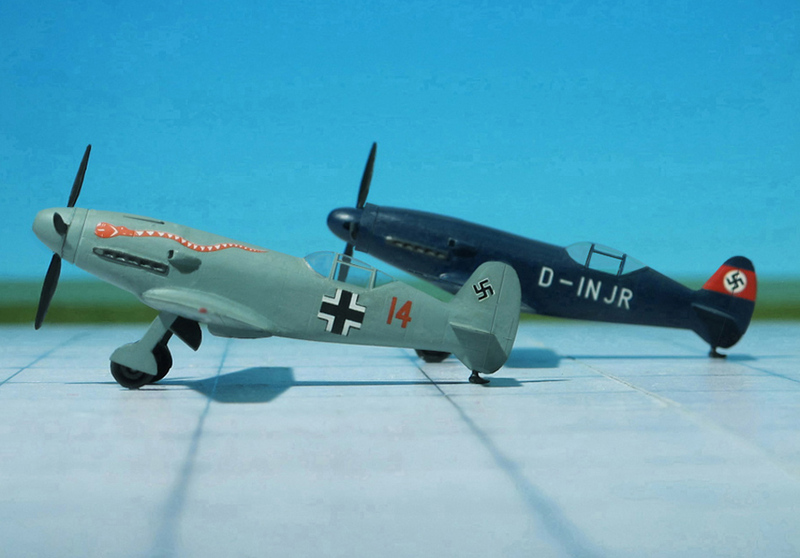 With each successive modification weight escalated and performance diminished, and as the Me 209 V4 was by now decidedly underpowered, the DB 601A was replaced by a DB 601N affording 1,200 hp for take-off. 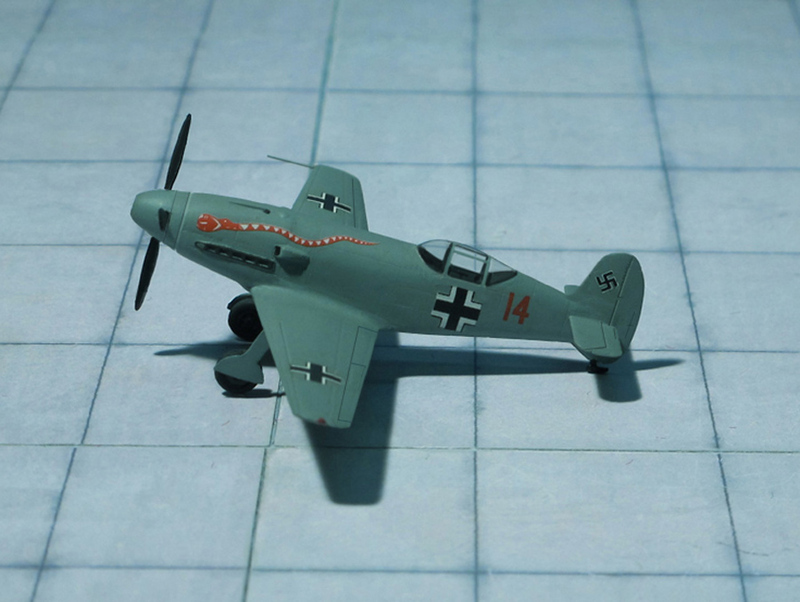 But troubles still continued and further tests proved that speed performance was marginally lower than that of the standard Messerschmitt Me 109E. 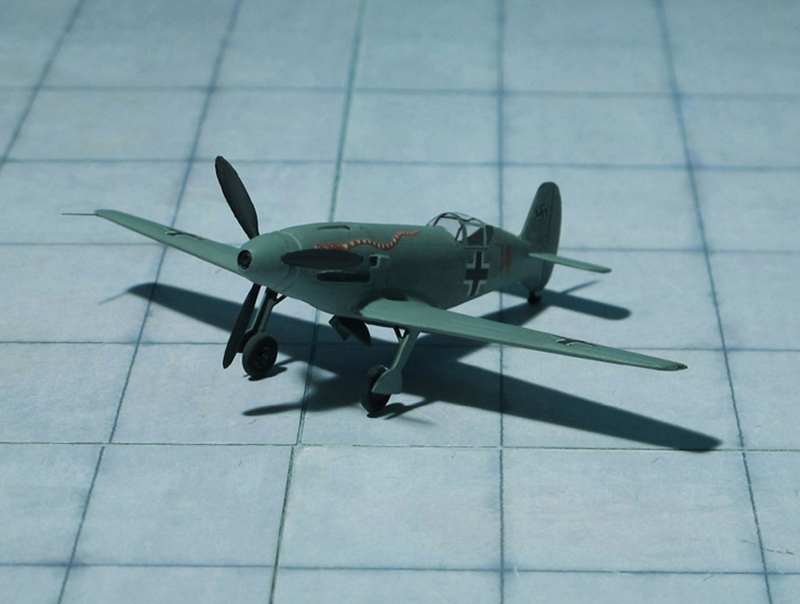 Finally all further development was abandoned. 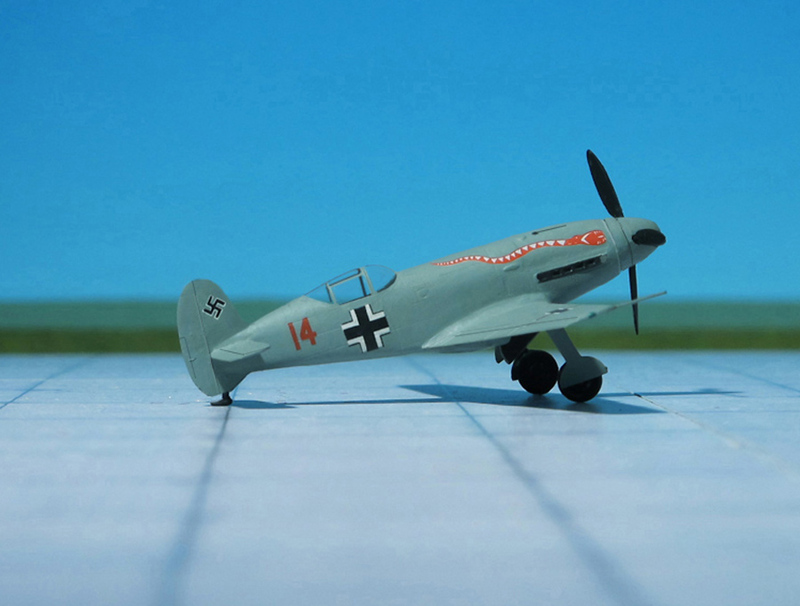 However, combat actions with British Supermarine “Spitfires” showed an urgent need for a successor of the Luftwaffe’s Messerschmitt Me 109. 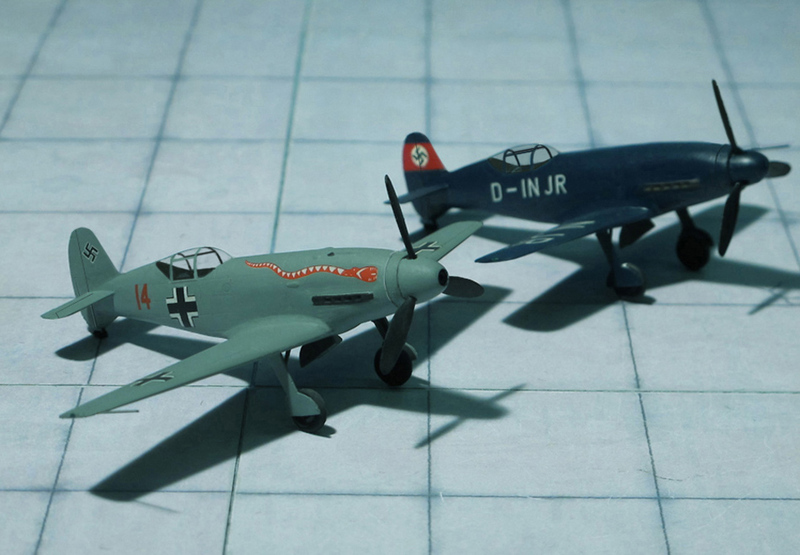 So the Messerschmitt design bureau had been engaged in developing a modernized, more powerful derivative of the Me 109 and the RLM transferred the designation Me 209 to the new fighter which should employ a large portion of a standard Me 109 components. 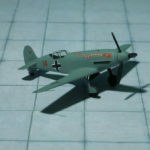 In fact, at the outset it was envisaged that there would be approximately 65 per cent airframe communality between the Me 109G and what now referred to as Messerschmitt Me 209-II (Ref. 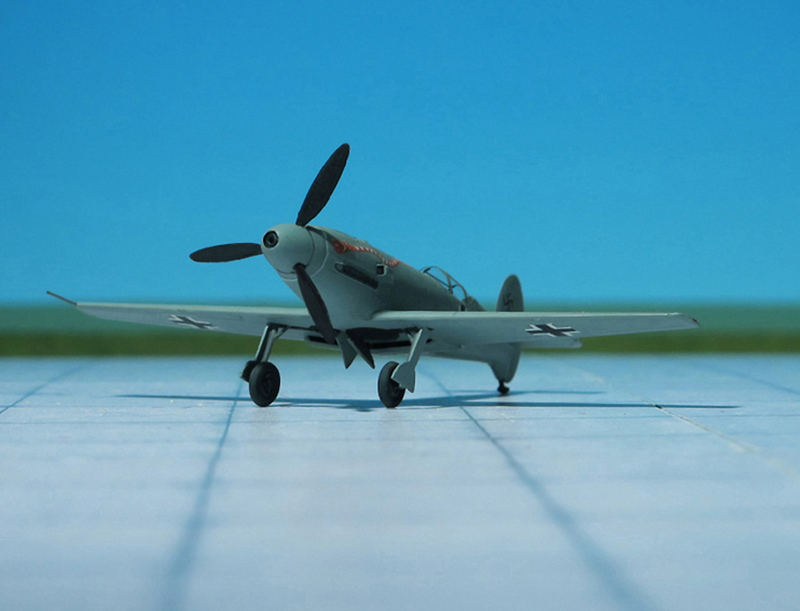 : 7).